Many mainstream stories feature religion as an element in the mix. It might be the conjunction of religion and violence; the clash of ethnicity, faith and culture or controversy around the relation of secular ideology and faith-based values. Who takes responsibility for ensuring that journalism students and professional journalists are well-equipped to interpret the powerful impetus of religion at home and abroad – and not only religion but belief in a wider sense? The answer, in Wales, has been almost no one. But that is changing, and Wales is at the forefront. In Cardiff on November 8th a day-long workshop was held which it is hoped will have a positive effect on the training of professional journalists and on university curricula. The seed of the workshop was sown at Cardiff University’s School of Journalism, Media and Cultural Studies in the autumn term of 2014. I was a professional tutor there on two Masters courses. A colleague drew my attention to the fact that, apart from standard teaching on ethics, balance etc., no particular assistance was offered to students on navigating the complexities of reporting on religion or belief despite the fact that religion is seldom out of the headlines. We both felt that providing some expertise would improve the calibre of work. I looked, within Wales, for an example of good practice in teaching on religion and journalism but established that no journalism/media department in any of the seven other Welsh universities was providing any specialist input at under- or post-graduate level; nor was there any training on offer to working journalists despite occasional claims from religious opinion that inadequate professional reporting damaged social cohesion. I sought for expertise and NUJ Training Wales (the training arm of the National Union of Journalists in Wales) agreed that there was interest among working journalists in a workshop on religious literacy, as it is increasingly known. ITV Cymru Wales offered a venue, Cardiff University’s Life Sciences Centre. The result was the one-day workshop in Cardiff on November 8th, When Religion Makes the News. Eighty-two people attended, both journalists and representatives of faiths and of secular belief systems. This report gives an overview of the day and access to resources prepared for it. 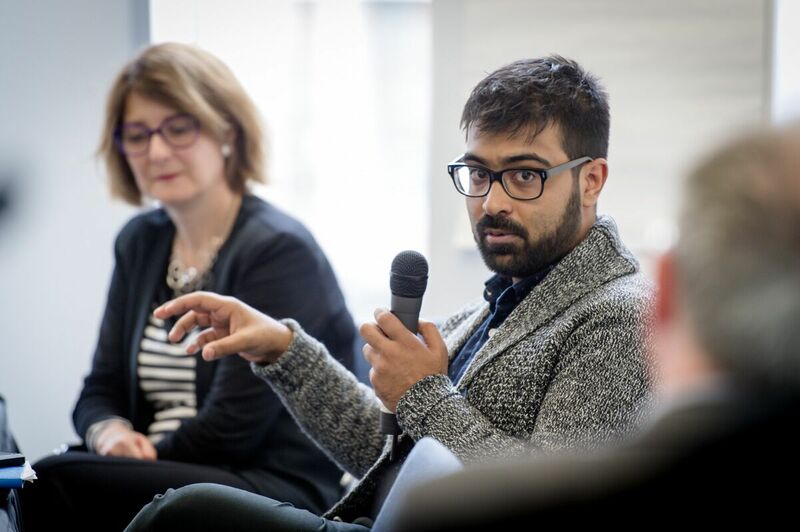 As well as a session on Islam in Wales and one on self-scrutiny for journalists, professional media reps from three of the major faiths shared what they have to offer and the challenges they face in working with journalists. The overlap in their experiences both highlights problems and indicates solutions. One such is the training programmes open to journalists – the Vatican’s Covering Catholicism in the Age of Francis for example. But these opportunities need to be better publicised to Wales. Resources and expertise are needed to assist the journalist. 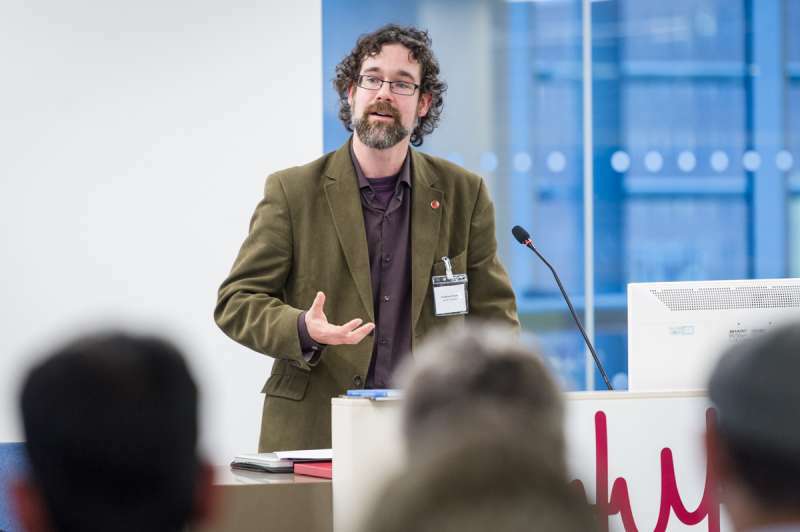 Among those prepared for the workshop are a Guide to Christianity in Wales compiled by Rev Gethin Rhys of Cytûn and a Resource List on Religious Literacy compiled by Cardiff University’s Dr Michael Munnik. Dr Munnik’s list shows where the energy around this topic is situated within British academia. It is an area of journalistic practice and research which is likely to increase in prominence. For example, also launched on November 8th is the Religious Literacy Partnership’s online training programme Religious Literacy for Organisations https://religiousliteracy.org/ which emerges from Goldsmiths, London University. 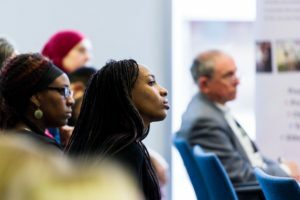 The Religious Literacy Programme there is based in its Faiths and Civil Society Unit, led by Prof Alan Dinham which is working with the Cambridge Co-exist Programme. This autumn Cardiff University launched its first undergraduate module in this field, Religion and the News: Conflict and Context via its School of History, Archaeology and Religion. It is designed by former radio journalist, Dr Michael Munnik of the Centre for the Study of Islam in the UK. More than 50 students have opted for the module. Our ground-breaking resources begin to fill some notable gaps and they indicate areas where further work ought to be done. The Guide to non-Christian Faiths in Wales is in the pipeline. Dr Jenny Taylor of Lapido Media (Centre for Religious Literacy in Journalism) was a keynote speaker at our event. Lapido has just published Religious Literacy ‘the world’s first handbook on religious literacy for professionals’. Preparing the workshop helped us consider priorities in the area, such as the need to grasp the importance of authority structures, of accountability within a faith, of the legitimacy of public representatives, of understanding nuances of belief within a denomination and how orthodoxy and heterodoxy relate in practice. The workshop showed there is an appetite for more in this field. Within 24 hours of it BBC Wales had invited Innes Bowen back for further input. About 50 journalists attended a session with her in December. In partnership with NUJ training Wales, Emma Meese and Matthew Abbott of JOMEC’s Centre for Community Journalism will be offering training to faith/belief group media reps on how the newsroom operates and how they can engage with the media and their own constituencies via effective use of social media. Journalists will be invited along to engage in a type of ‘speed networking’ with the faith groups giving them an opportunity to find out more and make lasting contacts. The date will be set early in the New Year. Despite the prominence of religion in the event’s title, the true scope of this work is belief more widely, hence the hashtag #ReportingBelief16, because belief is not restricted to religious faith. Humanism and other ideologies require attention in the training of journalists. The journalist’s self-awareness is crucial too. In Wales we have taken a first step into a complex field, one that is ripe for development. There is much to be done.